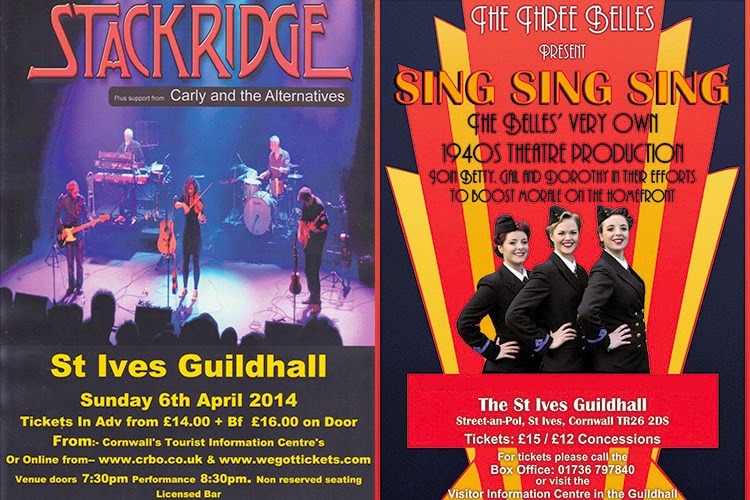 Lots of events coming up at St Ives Guildhall over through April and the Easter holidays. The month kicks of with two great - and contrasting gigs. Stackridge - "the missing jewel in the crown that is British pop music" - Sunday 6th April. The Thee Belles - Sing Sing Sing - a nostalgic trip back to the 1940s Home Front - Saturday 12th April. Johnny Cowling - Wednesday 23rd April. Open Road Theatre - Thursday 24th April. St Ives Amateur Boxing - Saturday 26th April. Collectables Market - every Monday. Craft Market - Tuesday 15th April. Craft and General Market - every Wednesday (from 9th April). 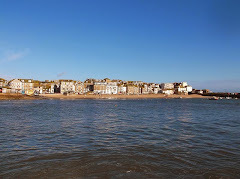 St Ives Farmers Market - every Thursday.